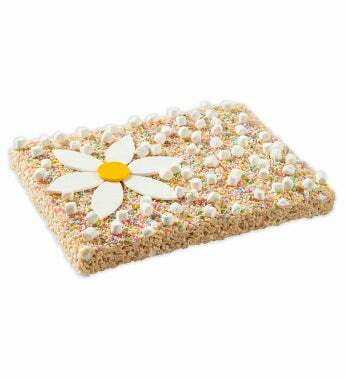 Celebrate Spring with this delicious Sugar Cookie flavored Rice Krispie Treat. This giant treat feeds 20-25 people and is topped with colorful spring sprinkles and quins. It is also topped with an elegant fondant Daisy.